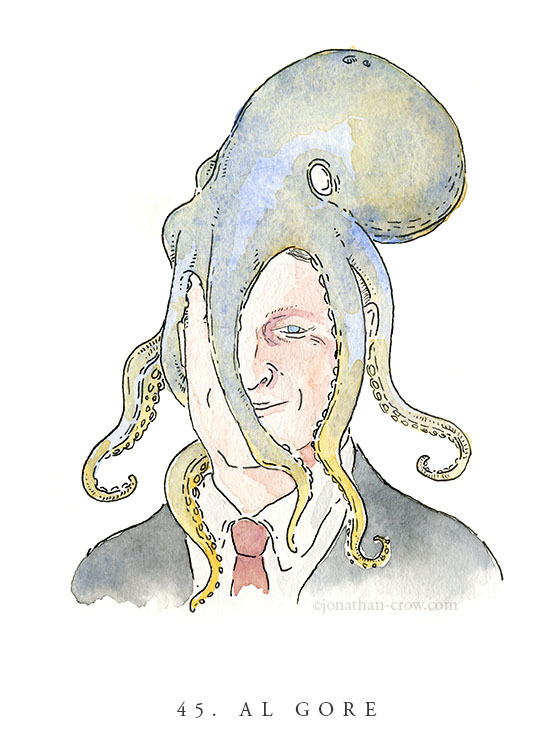 Every single U.S. vice president with an octopus on his head. Do you want every single one of these portraits in one handy, elegant book? Then check out my Kickstarter campaign here. 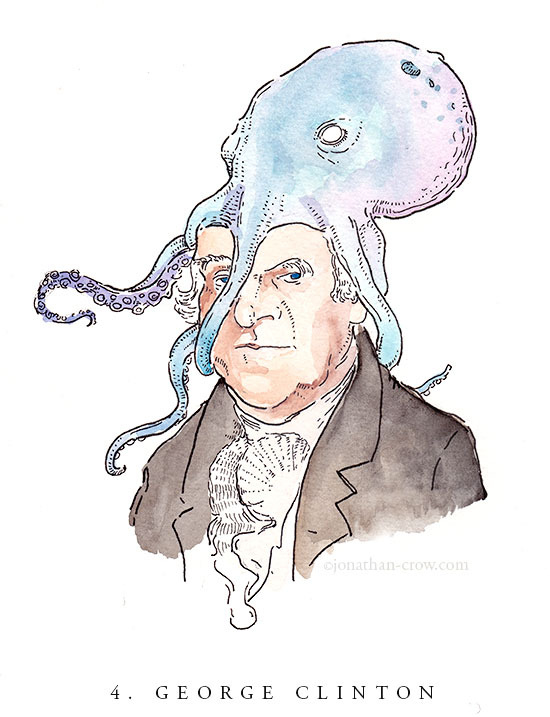 I drew portraits of all 47 U.S. vice presidents with octopuses on their heads. Mondale was the first veep of whom I was ever aware. I was 5, flipping through a copy of Newsweek with Mondale sheepishly standing behind Jimmy Carter on the cover. “What does a vice president do?” I asked my mom. “Go to funerals, mostly,” she said. This seemed impossible. How could the No. 2 guy in America just go to funerals? Vice presidents, in short, struggle to make sense of a poorly defined role, all the while waiting for death. It’s a bit like life itself. Decades after I first learned about Walter Mondale, a friend of mine invited me to participate in “From Dusk ’Til Drawn,” a fundraiser for the Museum of Contemporary Art in Santa Barbara, California, that entailed drawing for 24 hours straight. At that point in my life — i.e., before children — sleep deprivation was actually something of a novelty. It sounded insane. I was in. The last thing I wanted, however, was to be casting about at 4 in the morning for an idea of what to draw. 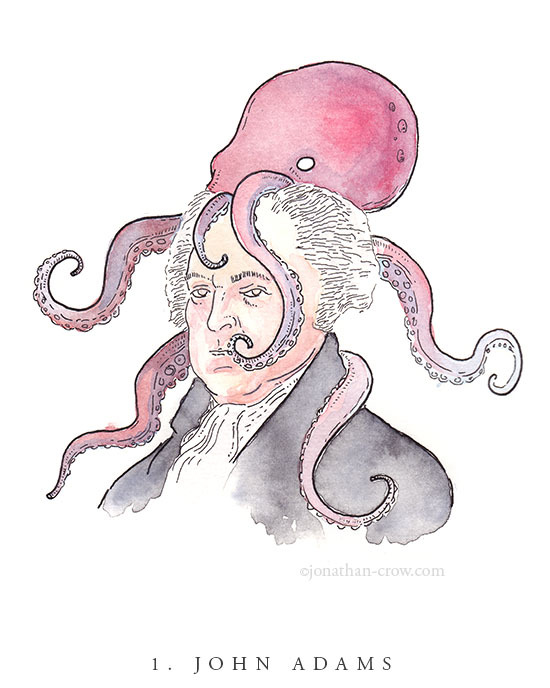 So I decided to do portraits of all 47 American vice presidents. I added the octopuses because I thought they were funny. Enjoy.